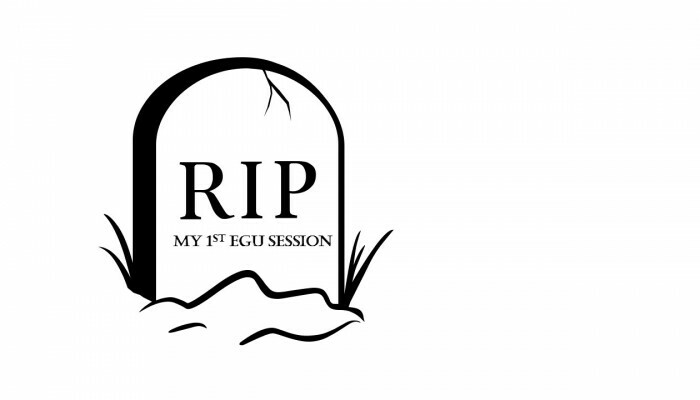 Our EGU session died, what went wrong? Have you ever had this experience? You develop a session which you think could be such a great platform or a subject that definitely interests a lot of people and then only a few people register…this happened to Jan, me, and several others this year and our proposed sessions (GM1.2 Emerging research fields in geomorphology and GM 1.4 Data wealth versus data poverty – new strategies for geomorphic research in a disparate world) died before they really came to life. Andreas Lang (EGU Geomorphology President) offered advice when he told us the news and we wanted to share his ideas and comments with you and sincerely hope that they will help everyone to kick off his or her session ideas in the future! THANK you Andreas for the interview!!! 1. Our sessions died! What did we do wrong? Well – probably the only thing that you really did wrong is that you allowed yourself to be too disappointed… sorry – but this is part of the game. Please do continue to come up with great ideas, promote exciting new topics and stimulate high quality contributions. GM runs in a bottom up mode – no pre-set themes but open for any great geomorphology. – you didn’t work hard enough…. New sessions can only be successful if you promote abstract submissions. Just sitting and waiting for abstracts to come in will usually not be enough. 2. Why do general topics, like concepts and emerging fields in geomorphology, have such a hard time receiving contributions? Geomorphology in much of Europe is still treating theory with a lot of respect – as was nicely encapsulated by Chorley (1978) “Whenever anyone mentions theory to a geomorphologist, he instinctively reaches for his soil auger”. So, compared to sessions with an empirical or technical focus you will always find it difficult to stimulate a large volume of abstracts. Also, the majority of geomorphological research is carried out in PGR projects, often set up such that a handful of papers can be published from the work and submitted as a thesis. This is of course is encouraging rather focussed empirical, technological and case study work. I discussed with Peter van der Beek, my successor at the helm of GM, how we may treat ‘theory’ differently. Probably this will trigger reinstating sessions with a dedicated theory focus and with high-level invited contributions. They would not be constraint by the threshold number of abstracts but will be guaranteed an oral slot. It really is for Peter to decide how he wants to take this forward but I guess he is open to suggestions. 3. What do you think is a good strategy for future session proposals to come to life? In general: Be prepared to work hard – write directly to people that you want to get involved as advertising via the usual listservers will not always be sufficient. It also seems to help to enrol one or two invited speakers that will act as light-house for your session – but aim at a balance: too many solicited talks and you run out of oral time slots for the other contributors. 4. What would be a good advertisement strategy? Personal invites to researchers active in that field in addition to wider distributed listserver emails. Have one email early after the call for abstracts has been issued and send a reminder a week or so before the deadline. 5. What current trends do you see in GM session development and what are the future developments to be expected? There are two things I would like to mention – most importantly, GM is benefiting from a large and growing cohort of very active early career researchers! Thank you all! It has been a great pleasure to see so you all so active with scientific contributions, session organisation and workshop participation. The growing activity is great sign for a discipline and makes me confident that GM will continue to flourish. The second is that more and more co-organisation is happening with other divisions. The Earth surface is a most important interface and is getting attention from a wide range of disciplines. Thanks to the hard work of GM contributors over the past years other disciplines increasingly value what geomorphology has to offer and can contribute to solving their questions. 6. Why, in your opinion, did GM receive less abstracts than during the last years? In general this is not a bad thing. GM has reached a good size – the largest annual geomorphology event globally. We can now work on further increasing the quality of the contributions – it may not be detrimental to be more selective. For the reduction in submissions this year a number of reasons have been mentioned: An unfortunate choice of submission deadline that arose from the early meeting date this year that necessitated an early submission deadline. Usual contributors to GM have also mentioned that due to limited resources they needed to give other events priority this year: INQUA, Goldschmidt and the IAG regional conference in Siberia. We’re happy to announce the 9th international young geomorphologists’ workshop, organized by the “Junge Geomorphologen” from Germany. The workshop will take place on 08.-10. May 2015 in Heimbach-Hergarten, near Aachen, Germany (see flyer). The meeting will provide an ideal opportunity to present your current work, to discuss problems and receive constructive feedback! We want to highlight our interest in solving problems that occur during the empirical or writing period of your research. Even though the program is quite dense, you’ll find time to get to know the other young researchers and share a beer with them! No worries! Logistics: Workshop fee will be 35 € for full board!!! Registration: Please send the registration form to jgtreffen@googlemail.com until Friday, 17th of April 2015. Shortly before leaving our offices for Christmas holidays, we’d like to whish you all a merry Christmas and a perfect start into the new year! EGU 2015 abtract submission on January 7th. In 2015 the EGU General Assembly will be from 12-17 April. 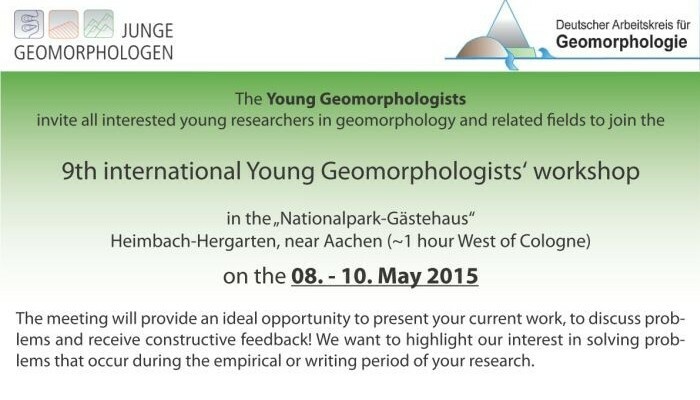 The “2nd International Young Geomorphlogists Social Event” will take place during the EGU General Assembly on Wednesday, 15th April – 7:30 PM. Again, we booked a nice and authentic night restaurant in the centre of Vienna to bring together young geomorphologists from all over the world. And please note that everybody is welcome who consideres himself as young! Beer prices were negotiated! The 14th INQUA will take place from the 27th July until 2nd August, 2015, in Nagoya, Japan. Deadline for abstracts was postponed until the 8th January. 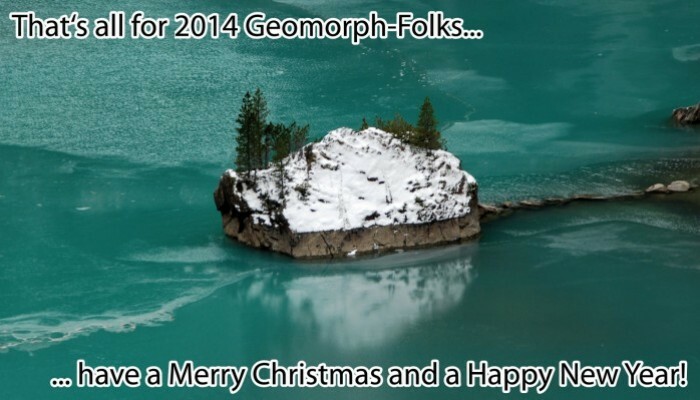 We hope that you’ll also be visiting the geomorphology blog in 2015, and again want to encourage all our readers to contribute to this blog! When setting up the first ideas for this blog Jan, Lucy and I started to research different national groups of geomorphologists from around Europe. Lucy came up with 13 contacts to groups in Europe and some were happy to write some short notes about their great work national and partly international. To give you a small impression, some contacts and visions please see the following posts by the Italian Young Geomorphologists, The Austrian Geomorphologists, The British Geomorphologists Postgrad Forum and the German young Geomorphologists. The very first common initiative, since the group has been recently founded, was the participation to the 17th Joint Geomorphological Meeting, in Liege from 30th June to 3rd July 2014 on “The geomorphology of natural hazards: mapping, analysis and prevention”, presenting a poster with the presentation of the group. Sharing of information about events, research opportunities, grants, meetings etc. 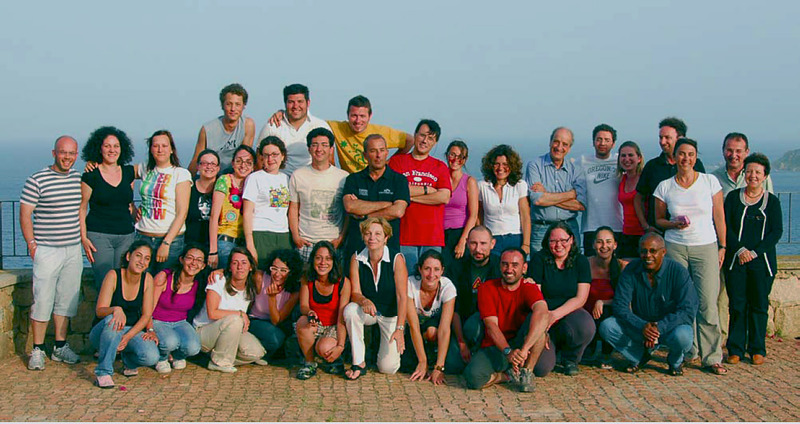 The “geomorph.at” group is a small but firm group of Austrian Geomorphologists working in the field of Geomorphology and Environmental Change. Currently our group counts around 68 members of which around 20 members might be considered as “young geomorphologist”. While there are no events especially assigned for young geomorphologists, the group “geomorph.at” is very active supplying and sharing information on (research) job openings, networking and initiating research projects within Austrian geomorphologists and with other geomorphology groups from Switzerland or Germany. All things young geomorphologists highly benefit from. This is done during our yearly meetings and by our geomorph.at mailing list. Our highlight for young geomorphologists is our grant for research dissemination at international conferences. Yearly we announce three grants (100€ each) for our young members attending and presenting their work at international geomorphology related conferences. Yearly meeting 2013 – Dinner at a Lower Austrian “Heurigen” (Wine restaurant) (Credit: Helene Petschko). 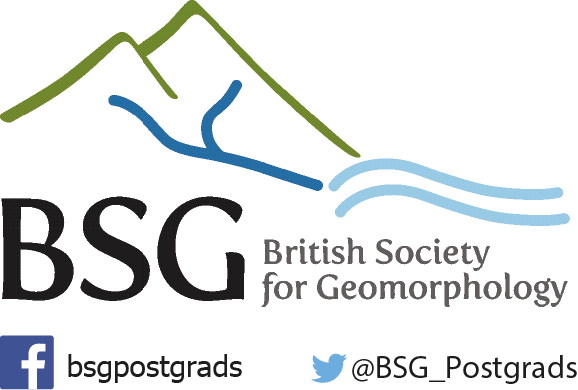 The British Society for Geomorphology (BSG) PG Forum currently represents over 220 postgraduates within Britain and further afield. The BSG PG forum outputs blog articles and a quarterly newsletter with topical articles of interest to geomorphologists, alongside helping with the BSG annual general meeting. The BSG AGM is held every September with academic/professional speakers presenting and ECR workshops ran – the AGM is commonly regarded as a great conference for postgraduates to get experience presenting to and obtain feedback from world-leading geomorphologists. Postgraduate grants for fieldwork and conference attendance are available from the BSG, with deadlines every January and September. The BSG also hosts an invaluable workshop for first-year postgraduate students, which is held every December in Cumberland Lodge within the prestigious grounds of Windsor Park. Finally, the BSG also publish postgraduate authored chapters in the Geomorphological Techniques resource – an invaluable resource for getting your first publication! Improving the research opportunities available to postgraduate geomorphologists. Development of a strong network of postgraduate geomorphologists that will provide the foundation for later work and collaboration together – as well as allowing people to know a friendly face at conferences/workshops! To provide regular updates of interesting/topical developments/projects within geomorphology, and developments within the BSG. 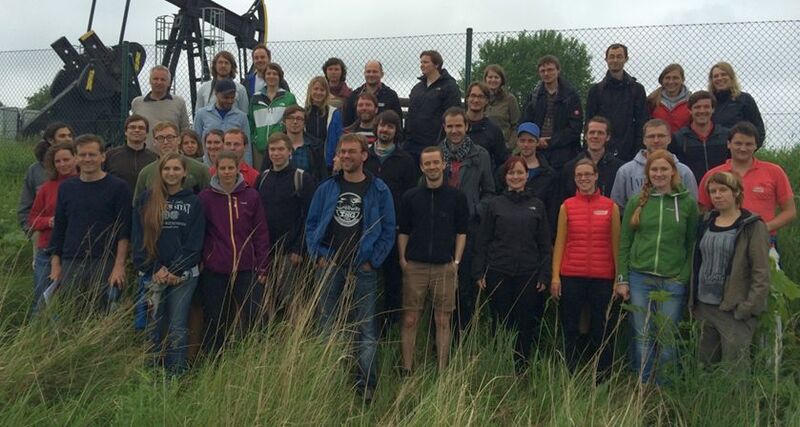 The “Junge Geomorphologen” (Young Geomorphologists) from Germany is a group of about 60 young scientists (Masters, PHDs and Postdocs) working in the field of geomorphologic research and related topics. We implement each year an international workshop for young geomorphologists in English to discuss our projects, exchange ideas, learn new methods and share a beer. Since 2014 we started organizing an international social event for geomorphologists at the EGU in Vienna, which will also take place at the 15th April 2015.